GLM provides components, maintenance and repairs to gas turbines, centrifugal gas compressors, pumps, gearboxes, and generators used in the energy industry throughout the continental United States and Alaska. 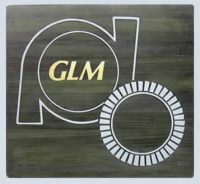 GLM specializes in overhauling and parts manufacturing of Solar, GE, and Siemens gas turbines. Caltius Structured Capital provided mezzanine debt and a significant minority equity investment to facilitate a management buyout in partnership with D’Orazio Capital Partners, LLC, a Chicago-based private equity firm.